I have been an RN since 1994 and a Nurse Case Manager since 2011. I have worked in a variety of clinical settings including, med surg, dialysis, oncology, hospice, SICU, LDRP, L&D and GI Lab. I have also worked as a travel nurse, agency nurse and patient service rep fitting patients for external defibrillators. 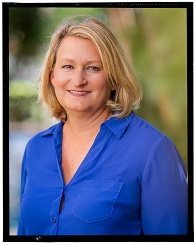 I launched The Stay At Home Nurse in December of 2013 with the goal of helping other nurses and healthcare professionals reach their goals and dreams. This has grown to include books and online courses that help case managers obtain their certification as well as a publishing company. 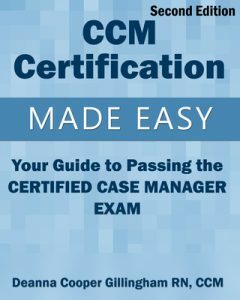 CCM Certification Made Easy was written specifically to help you pass the Certified Case Manager (CCM) exam, this extraordinary book is the ultimate resource for case managers preparing for examination. It has been created and organized based on the Commission for Case Manager Certification (CCMC) exam blueprint by a certified case manager, so readers can feel confident that they are studying pertinent material. Each of the book’s chapters address one of the five knowledge domains covered on the exam. Each chapter is further broken down to cover each of the topics outlined in the exam blueprint. CCM Certification Made Easy provides a comprehensive yet concise review of the core material needed to pass the CCM exam, and is provided in a well organized, easy to read format, to help you make the most efficient use of your study time. No filler or fluff, just the facts. The Case Management Certification Review program provides a course of study for those preparing for national case management certification. The course provides information that you can use to develop your study plan and improve your case management skills. 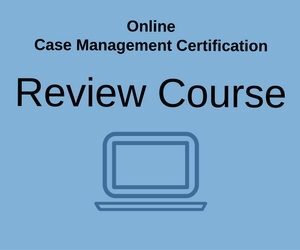 The course is provided in a way that those who attend receive information that will allow them to successfully pass the exam and understand the fundamentals of the practice of case management.